In 2017, Dr Lee Humber received Heritage Lottery Funding to find out about the role that people with learning disabilities played in the First World War. He approached My Life My Choice, who recruited three young people with learning disabilities - Tommy, Shane and Tyrone - to be part of the research team. The researchers have been supported by Jess Tilling, Power Up Coordinator at MLMC. Visitors to our exhibition evening look at the work we've done. 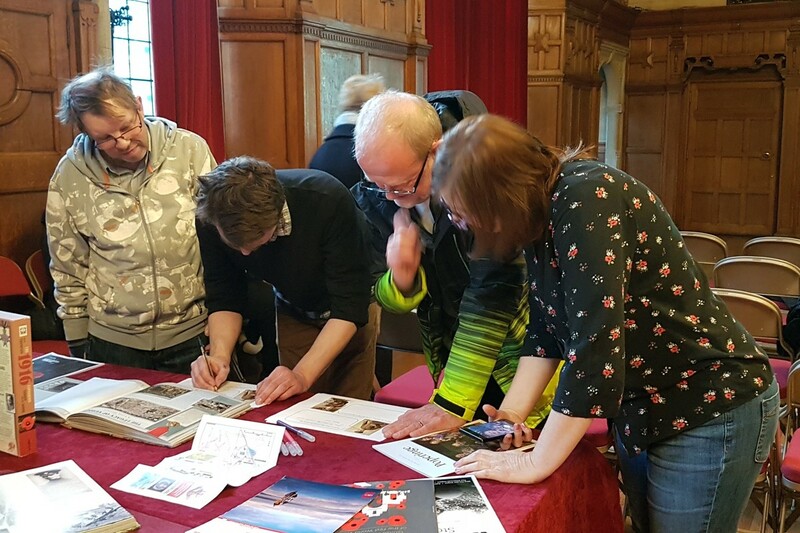 Last night they presented their journey - through Ruskin College, Oxford Archives, Soldiers of Oxfordshire Museum, war graves in Belgium, and the Imperial War Museum - at an event at Oxford Town Hall. Visitors to our exhibition evening.